Polish developer iFun4All has announced they will be bringing two of their titles to Nintendo Switch by the end of 2017, under the “Steampunk Invasion” umbrella campaign. 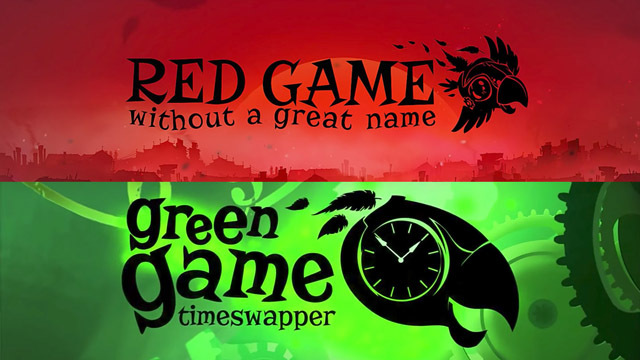 That itself is not the game the studio is porting: the games are the literally named Red Game Without a Great Name and Green Game: Timeswapper, on top of the previously-announced Serial Cleaner coming to Switch in Q4 2017. While both games share arcade sensibilities and a steampunk aesthetic, Red Game is built around a teleportation mechanic while Green Game centers around time travel. Both games even involve a mechanical bird, where Red Game has you play as it, and Green Game sees you protect it from danger. In this sense, the two games coexist in duality. iFun4All originally brought both Red and Green Game releases to iOS on mobile, and they’ve since migrated over to Steam and PlayStation Vita. Switch owners already have the steampunk-themed Earth Atlantis and and puzzle-strategy game Ironcast to play, while third-person shooter Crazy Justice is also due in the near future. By their own admission, iFun4All is more than happy to fill the void of steampunk for Switch owners who deem themselves fans of the style.